Sell your iPhone 6 Plus 64GB within seconds, thanks to the OnRecycle system. Explore the best prices from all of the major mobile phone recyclers before selling your iPhone 6 Plus 64GB with us. 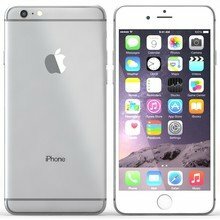 Sell iPhone 6 Plus 64GB models in just a few steps with OnRecycle's comparison service, designed to help you sell your iPhone 6 Plus 64GB for cash. With so many iPhone 6 Plus 64GB trade in prices to choose from, it's no wonder we are one of the best online stores to sell iPhone 6 Plus 64GB models!